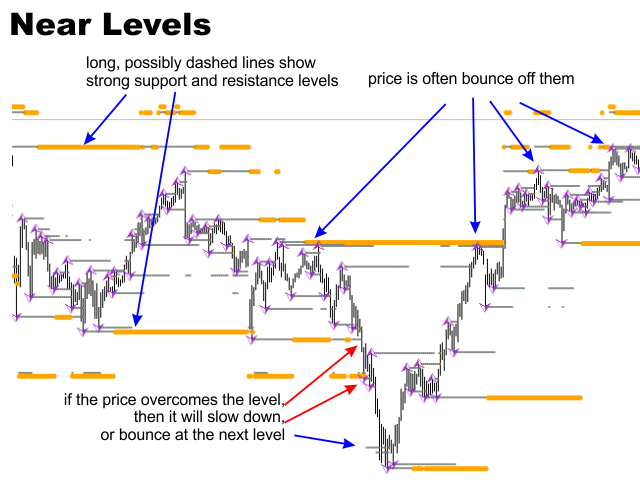 The indicator displays arbitrary fractals and support/resistance levels based on these fractals. 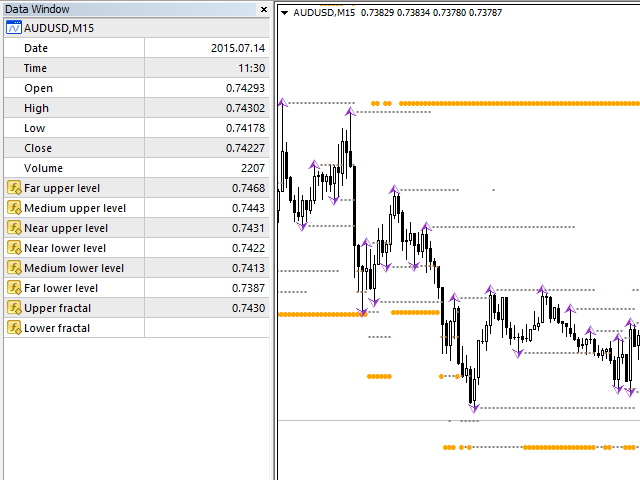 It will help you to see the market situation clearlier and implement strategies on breakthrough or rollbacks. 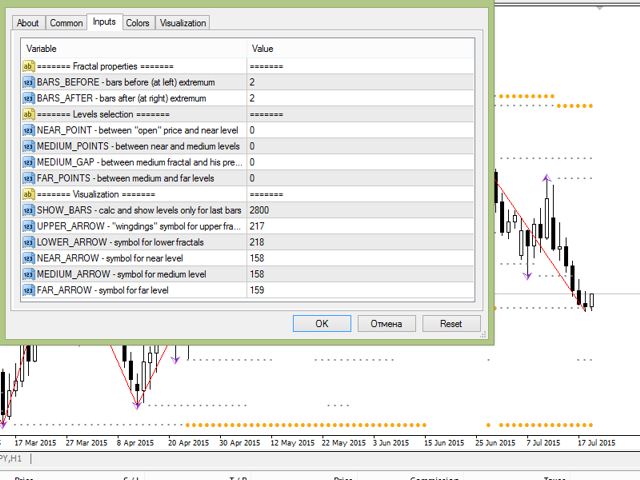 Flexible configuration and intelligent choice of levels simplify the analysis of price movements and facilitate the construction of graphic shapes. BARS_BEFORE — number of bars before the extremum, i.e. to the left of the fractal's central candle. BARS_AFTER — number of bars after the extremum, i.e. to the right of the fractal's central candle. NEAR_POINTS — minimum distance from the open price to the nearest level. MEDIUM_POINTS — minimum distance from the nearest to the middle level. MEDIUM_GAP — minimum distance between fractal of the middle level and the next one. FAR_POINTS — minimum distance between the middle level and the far level. SHOW_BARS — number of last bars above which levels are calculated and displayed. UPPER_ARROW, LOWER_ARROW — allow to set the code of symbols from the "wingdings" set to display upper and lower fractals. NEAR_ARROW, MEDIUM_ARROW, FAR_ARROW — similarly set symbols to display levels, element colors can be set in the standard Colors tab.